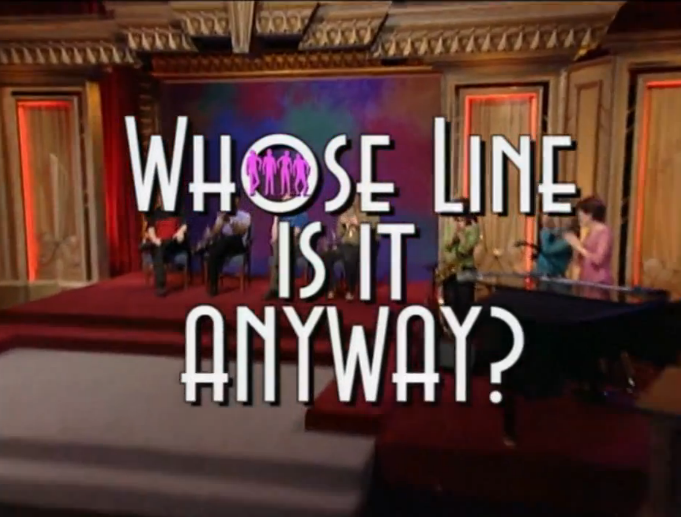 Does Anyone Remember ‘Whose Line It Is’ After all? Its Back!!! Remember that show where 4 guys used to crack unthinkable and the funniest jokes that you could ever hear and instantaneously??? Well if you don’t, then you seriously have missed out on a heck of show! And for the ones who have seen the show and been a fan like I have, here is a great news for you all! ‘Whose Line Is It Anyway’ is in for an entirely new run this July!!! Best part about the show is that the original cast except for Drew Carey are back for the reboot! A short 5 mins clipping has been released from the upcoming season and trust me, it brings back the same feeling that the show had back in days, just that Drew Carey might be missed a little, with Aisha Tyler as the new host. But that can still be compromised having Wayne Brady, Ryan Stiles, and Colin Mochrie back doing what they do best! The theme of video revolves around a little something called ‘90210’ fever. Well… this will help in turning down the so-called Fever!!! I just hope that the other guys Charles Esten, Greg Proops and remaining gang also return to the show and create the magic they created last time! The show will premier on the 16th of July! Excited??? I am!!! Don’t Turn Out the Lights – NKOTBSB Single OUT!!! The super group of two of the biggest bands ever has finally released its highly awaited single “Don’t Turn Out the Lights”! What to expect??? FANTABULOUS without a question! The song is simply awesome! It has everything that a song needs to top all the charts all around the world! You can easily make out as to who is singing maintaining the originality and the blend in their voices has been created in a fantastic way! I am listening to the song for the 7th time in row while am writing this post right now… so I guess you can make out how cool the song actually is! I accept that I get biased when it comes to the Backstreet Boys, since I am a huge fan of the band, but the song is really really cool! Can’t help the fact! Well instead of trying to understand by reading my review about the song… just listen to the song here while you still can and decide for yourself! So… What are your thoughts about the single? Do you feel like ‘Turning the Lights Out’ ??? BSB & NKOTB On One Stage!!! Is this BIG or what! Two of the biggest bands of all time, New Kids On The Block, which started it all and The Backstreet Boys, who redefined the world-wide music with one after another smashing hits joining forces and appearing all together on one single stage! I am damn sure that this concert is gonna create history and break records! This has already started showing impact on the Backstreet Boys as they have been trending worldwide everyday on twitter! The Backstreet Boys had reunited with their 5th group member Kevin Richardson recently for the Farewell season of Oprah Winfrey show as one of the all time teen heart throbs! Here is the official promo from the official combo tour website http://www.nkotbsb.com/ ! For the latest updates, you can follow @nkotbsb on Twitter! So! How do you all find this! Twilight Saga Continues – New Moon Trailer Out! Yes sir! the movie that started it all ( I mean the vampire craze) is coming back with the next installment to the saga! Here is the trailer! Linkin Park’s “New Divide” on Youtube! Yup! The song is finnally out and its there on youtube! Here it is! You can get the complete song on iTunes! Linkin Park Gives Music For Transformers 2 – Revenge Of The Fallen! Transformers 2 – Revenge Of The Fallen is at the verge of getting released. Its promotional video is here and guess what? Linkin Park has given the movie its title track and Man! It simply ROCKS! Linkin Park had also given the title track for the first movie named “What I’ve Done”. The name of this new track is “New Divide and you can see it here! Here is a glimpse of the making! So? How did you find it? Backstreet’s Back To The Studio!!! And More New About Them! Yes Sir! The boys are at it again!!! Man! Am sooooo excited top post this as they are “THE” most wonderful and ever rocking band ever if you ask me!!! So, after long thirteen long months touring round the world promoting their last album “Unbreakable” they are back to the studio recording new tracks! They have already made a few songs and here is where you can get a little part of their new song called”PDA”! And in the meanwhile, Howie Dorough had his first baby boy and has named the new “Backstreet Boy” James. James was born on the 6th of this month(May)! Howie says that the name was suggested by AJ Mclean! BSB now, not only has an official web site, they are there on Facebook, MySpace, Say Now, iLike , Backstreet Blog, Youtube Channel and the most important and happening of all…….Twitter! Here I’ve given links to there web sites along with a pic of the same! And ya! Don’t forget to follow them on twitter!! They are really cool and funny at times! And here is where they welcome all their fans to their official youtube channel! If you are a BSB fan like me, you would never wanna miss them out on Twitter! Just can’t wait for their next album! Can you?